Check out a recent article on the Dance Portal at the Children’s Museum of Manhattan. A highlight of the new Let’s Dance! 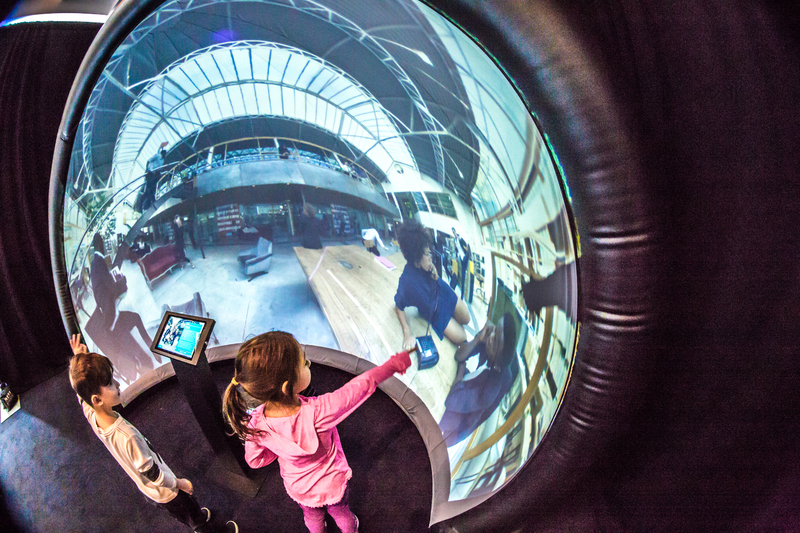 exhibition is the Dance Portal, an interactive video installation using WorldViewer in a GeoDome Portal to share the power of dance in its many styles while inviting visitors to dance along. Participants use a touch screen to select from three types of prompts—see, do, or learn—to watch or dance along with world class dance companies. Special dance programming and performances will complete this “moving” experience! Let’s Dance is expected to run through 2018. This is the second time CMOM has incorporated our immersive technologies into their exhibits – last year’s America to Zanzibar exhibit on Muslim cultures used a GeoDome Panorama to explore mosques around the world. Press coverage included this piece in the New York Times.